WARRIORS winger Talent Chawapiwa has expressed his delight after making his debut for new club Amazulu on Saturday. Chawapiwa came on as a substitute in the second half and made an impressive appearance for his new club where he signed a three and half deal beginning of this month. The former FC Platinum and Harare City player signed from fellow Absa Premiership club Baroka and came on in Amazulu’s 1-0 win over Cape Town City. “I’m happy l had my debut and l must say that l enjoy it even though it wasn’t that much easy because we were playing against a good team. “I think l did well for my team and will do even better in the upcoming games. “I still have a lot to do but l’m not under pressure, l will try to put more effort and do my best in achieving my targets and the team’s,” he said. 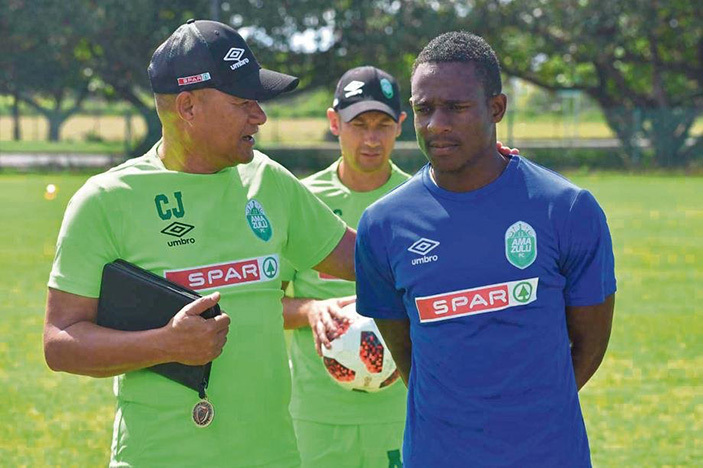 “Overall, l think I had a great debut and l am happy to be at Amazulu. With the Warriors’ final game of AFCON qualification edging closer, Chawapiwa says he is also gearing up for the important match against Congo-Brazzaville at home. The Warriors want at least a draw to qualify as they currently sit top of Group G with eight points. “We are preparing for this match even though we are not in camp yet but everyone is gearing up for this match at their respective clubs. “We are ready for this encounter and we are looking forward to qualify, we know how much our fans want this and we also want the same as players. “I want to urge everyone to come and rally behind us when we play at home,” he said.